Stand For Courage is fortunate to receive generous support by partners who see the #SFCImpact and live out our mission every single day. The Refinery is an award-winning advertising agency specializing in print, a/v, motion, and interactive campaigns for the entertainment industry. By combining the intense creativity of a boutique shop with the scalability and service of a much larger team, we're proud to have created what has become one of the select go-to agencies for theatrical, broadcast & home entertainment clients. 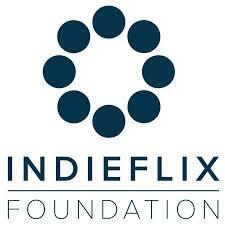 Stand For Courage is fortunate to be featured in an upcoming film, sponsored by the Indieflix Foundation. About the film: Bystanders fuel bullying. They also have the power to make bullying vanish. The Bully Factor explores cyber-bullying, bullying amongst friends, families, co-workers and the brain science behind it all. The film and series highlights new laws and programs already reducing bullying in schools and shows us how we can learn to make a difference together. As with all of our films, The Bully Factor will provide resources, tools and hope. Release is slated for Fall 2019. Swift Digital & Design is an independent digital marketing & web design firm based in Portland, OR. Swift exists to serve the community and provide value to people & the planet. With a focus on brand authenticity and developing your voice, Swift helps businesses develop their image and scale their business models through digital advertising and clean, sophisticated web design. In addition to sponsoring Stand For Courage, Swift Digital & Design gives back 5% of all profits to organizations that provide care with dignity for chronically ill and medically underserved populations in the U.S.
KING 5 Media Group is the largest media company in the Pacific Northwest and consists of multiple broadcast and digital properties. KING 5 is one of the strongest, most trusted local news brands in the country, delivering the largest audiences across all screens among its peers in Seattle.